WASHINGTON — With fall college payments due in the next few weeks, now is a good time to review the 529 college plans you diligently funded and make sure you understand and use them properly. There are important changes and expanded uses that started January 1, 2018 to consider. It’s also good to review qualified and non-qualified education expenses, and financial aid considerations to avoid any problems and maximize your 529 plan contributions. These 529 plans are a tax-advantaged way to save for your child’s college expenses because they allow tax-free earnings growth and tax-free withdrawals when funds are used specifically for qualified higher education expenses (QHEE) for full-time or minimum part-time students attending eligible U.S. or international institutions, including two- and four-year colleges, vocational and graduate school programs. In addition, many states offer a tax credit or deduction for contributions made to their state’s 529 plans. See the list of the deductions by state here. The Tax Cuts and Jobs Act signed into law in late December 2017 now allows families to use 529 plans to pay up to $10,000 per year per student in tuition expenses at elementary or secondary public, private or religious schools starting in 2018. Keep in mind that only tuition qualifies as a tax-free withdrawal when using 529 plans for elementary or secondary education costs. Expenses for home schooling, computers, summer camps, etc., are not covered under this new provision. Many expenses that are typically defined as qualified higher education expenses (QHEE) for college and postsecondary education are not allowed for K-12 education. That said, if you are a home-school parent, you may want to contact a lawyer, as a few states consider home-schoolers a form of private school. There’s one additional caveat when taking a state income tax credit or deduction for 529 contributions being funded specifically for K-12 tuition — make sure that your state follows federal law and treats 529 distributions for K-12 tuition as a qualified education expense. To date, over 30 states have conformed to the new federal tax code but not every state has done so. State income tax benefits are only available for 529 expenses which the state considers “qualified,” therefore, check with your 529 plan administrator before claiming any state tax breaks for K-12 tuition. The new tax law that started in January allows tax-free rollovers from traditional 529 plans into 529 ABLE accounts (which stands for Achieving a Better Life Experience) in the event the beneficiary becomes disabled. To qualify for a 529 ABLE account, individuals must have been diagnosed with a significant disability before they reach age 26 and the condition is expected to last at least 12 consecutive months. The individual must also be receiving Supplemental Security (Disability) Income (SSI/SSDI) benefits or be able to obtain a disability certification from a doctor. ABLE accounts offer tax-free investment growth and tax-free withdrawals when the funds are used to pay for qualified disability expenses such as education, job training, health care and financial management. Total contributions are limited to $15,000 per year, which is the 2018 annual gift tax exclusion amount. Keep in mind that if a person’s ABLE account balance exceeds $100,000, they will no longer be eligible for Supplemental Security Income (SSI) benefits but may still receive Medicaid. As long as 529 plan withdrawals are used for QHEE during the year in which they are withdrawn, account earnings are tax-free. If money from a 529 plan is used for anything that does not meet the “qualified expense” criteria, the earnings portion of that non-qualified distribution will be taxed as ordinary income plus subject to a 10 percent penalty. There are exceptions to the 10 percent penalty rule, such as the beneficiary becomes disabled, attends a U.S. Military Academy or gets a scholarship. Keep in mind that the principal portion of any withdrawals, which are your after-tax contributions, will never be taxed or penalized. 1. Tuition: For full time and part-time students at an accredited institution. 2. Room and Board: On-campus/dormitory room and board is a qualified expense. Off-campus housing and meal costs are eligible up to the college’s published allowances in their “cost of attendance” figures, typically found on the school’s website or financial aid office. 529 funds used to pay for rent or meals in excess of the allowances published by the college’s annual cost of attendance are not a qualified expense. 3. Fees: All fees, such as lab and technology fees, required by the school. 4. Books and Supplies: Required textbooks, lab supplies as well as basic supplies such as pens, paper, printer ink, etc. are qualified expenses. 5. Technology: Computers, iPads, printers, internet service and required educational software used by the 529 beneficiary while enrolled in college are qualified expenses. 6. Additional expenses of special needs beneficiaries: Certain services and equipment that a special needs student would require like wheelchairs and transportation costs which are generally considered a non-qualified expense are eligible in this case. 1. Transportation and Travel: You cannot use 529 funds for transportation of any kind, including airfare, gas, and certainly not to buy a car to get to and from college. This includes travel for move-in/out purposes, holidays, etc. 2. Insurance: Health insurance and medical services, even though they may be billed by the university, are not a qualified education expense. 3. Student Loan Repayment: You cannot use 529 funds to repay any of your student loans. Make sure you use as much of your 529 savings to pay for your college expenses up front to avoid taking out unnecessary loans. 4. Cellphones and other electronics: Cellphones, cellphone plans and electronics for personal use are not eligible. 5. Fitness club and activity fees, including fraternity and sorority membership dues: All of these expenses are considered extracurricular (noneducational) and not eligible. 6. Lifestyle and personal expenses: Mini refrigerators, laundry and personal expenses are all not eligible. The financial aid impact of a 529 college plan depends on who owns the 529 plan, so it’s important to plan ahead — especially when there is more than one 529 account when applying for financial aid in order to maximize their financial aid benefits. All schools that offer federal needs-based financial aid require students to complete the Free Application for Federal Student Aid (FAFSA) to calculate the student’s Expected Family Contribution (EFC) for determining how much federal student aid the student may be eligible to receive. The lower a student’s EFC, the more financial aid eligibility. Generally, a 529 plan owned by a dependent student or parent has less impact on financial aid eligibility than if owned by an independent student, grandparent or other family member, but this is where timing and advanced planning are critical. The ownership of 529 plans may impact a student’s FAFSA and financial aid eligibility. For example, if a 529 plan is owned by a dependent student or parent, it is considered a parental asset on the FAFSA and will reduce the student’s aid package by a maximum of 5.64 percent of the plan’s value. So, if a parent has a 529 account worth $50,000, their child’s potential financial aid award would be reduced by $2,820 (5.64 percent multiplied by $50,000). Secondly, 529 plan withdrawals used to pay for college will not be reported on the FAFSA if owned by a dependent student or parent. In comparison, a 529 plan owned by an independent student or custodian account under UGMA/UTMA will be counted as a student asset and reduce the aid package by 20 percent of its value. 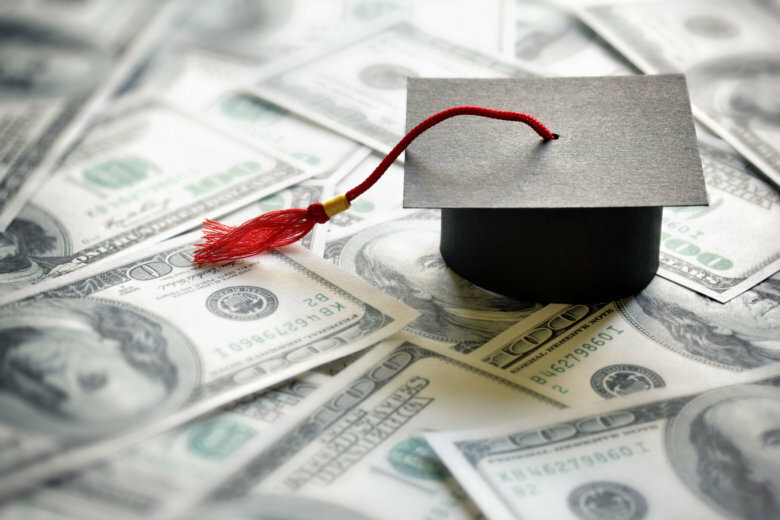 In the case of a $50,000 UTMA account, this would result in a potential $10,000 student aid reduction which is significantly less beneficial than a 529 plan owned by a dependent student or parent. It’s not uncommon for grandparents to fund 529 accounts for their grandkids. 529 plans owed by a grandparent are not included in the initial FAFSA, but any withdrawals from these third-party 529s will be treated as income to the student on the FAFSA in a future year and can reduce the financial aid amount by 50 percent of the withdrawal made for that future application. Therefore, it’s best to take distributions from a grandparent-owned 529 in the later college years or use the 529 plan for graduate school. Other options, if permitted by the 529 plan, is for the grandparent to change their account ownership or rollover a year’s worth of 529 funds to a parent-owned 529 plan to allow for more favorable financial aid treatment during the FAFSA process. Learn more about how 529s affect financial aid. Timing is everything: The 529 withdrawal must be used to pay for QHEE’s in the same year so make sure to match same year withdrawals with expenses. Be careful not to pay tuition in January with 529 money that was drawn in December of the previous year. You can ensure proper matching by requesting that the distribution from your 529 plan be sent directly to the school bursar. If you take too much money: If you take a 529 distribution and discover that your student doesn’t have enough qualified education expenses, there are two options: prepay next year’s expenses or roll over the excess into another 529 account if you catch it within 60 days of withdrawing the funds. Keep in mind that rollovers are limited to one every 12 months. Changing beneficiaries for 529 Plans: Each 529 plan account has one designated beneficiary, which is usually the student whom the plan is intended to provide benefits. There are no tax consequences if you change the designated beneficiary to another member of your family. Likewise, you can rollover funds from one child’s 529 plan into a sibling’s plan without a penalty. The IRS allows one tax-free rollover of a 529 account per beneficiary in a 12-month period. 1. Use the 529 plan for qualified expenses not covered by the scholarship, including graduate school in the future. 2. Direct the 529 to another family member-beneficiary, such as a sibling. 3. Withdraw the amount of the tax-free scholarship from the 529 plan, penalty-free, and pay income tax on any earnings. As you tap into your 529 accounts, don’t be afraid to ask for advice from your financial adviser or CPA if you want to be sure about the best way to withdraw and apply these funds. The burden of proof for tax purposes is on the 529 owner, so it’s best to keep copies of all college payment statements and support in case you get audited. Speaking of college, there is one more very important thing you should do before sending your young adult off to college — have them sign some important legal documents such as a Health Care Proxy and HIPAA Authorization that will allow you to act on their behalf in case of emergency. Read Essential Documents Your Young Adult Children Should Sign to learn more.